You can’t go wrong with a good pair of trainers. From doing the school run to a cross country run a pair of trainers are perfect. They are so functional, they look good with a pair of skinny jeans for a casual look but then can take you straight through to a work out in the gym. But they can be so bloody expensive. 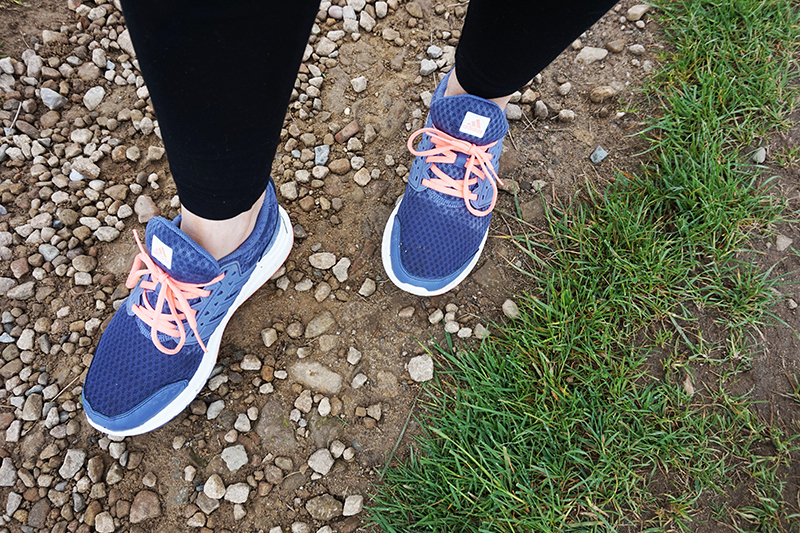 A good pair of running shoes can set you back over a £100 and as a mum I just don’t have that amount of cash to spend on a pair of shoes, even if I wanted to. But I do need a good pair of running shoes. I’m fussy. I want a pair of trainers to look good, be in a gorgeous style and colours but to also fit really well and be supportive. 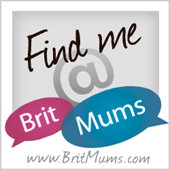 My feet take some battering not only in the gym but out and about. I love my trainers but my trainers don’t always love me. I’ve had some awful blisters from some trainers. I’ve had pairs where the backs have worn down and torn my ankles to shreds. I’ve had pairs that just don’t support the arch of my feet and don’t feel comfortable under foot. I’ve had pairs that just don’t allow the feet to breathe and you know what that means, stinky shoes that get thrown out. But I’ve finally found a pair that totally fits my needs and I am totally in love with them. The Adidas Galaxy 3 trainers from Deichmann are the perfect all rounder for me. Not only are they gorgeous, I love the contrast between the grey & the pink but they are super comfy too. 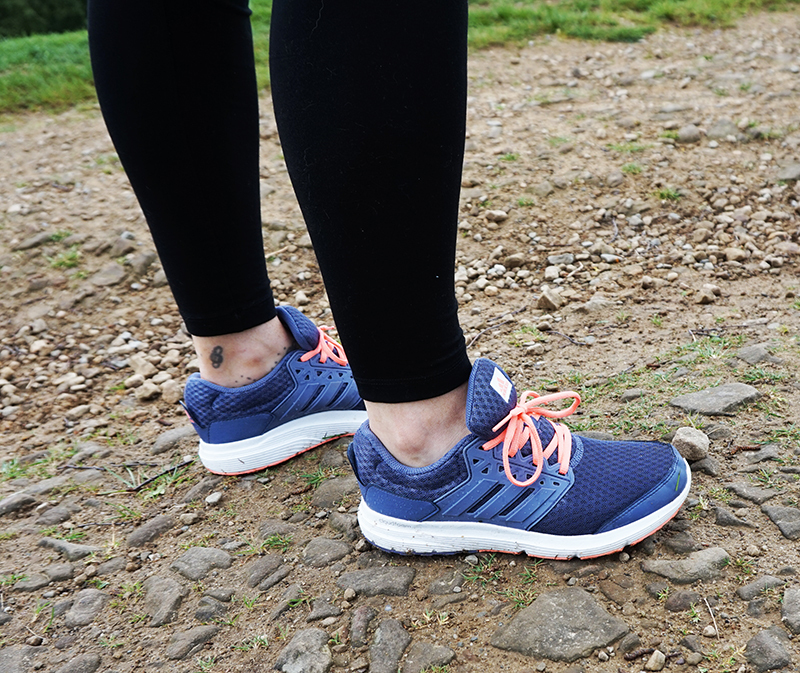 They are great on all terrain, we’ve been out on some long walks up and down hill, over gravel & grass with no sore feet or rubbing at all, plus they are also perfect for in the gym. They have innovative Cloudfoam technology which is perfect for circuits too. This trainer is lightweight, comfortable and supportive, making it ideal the various exercises. They have an amazing cushioning to them meaning they are so supportive to the heels no matter what exercise you are doing. 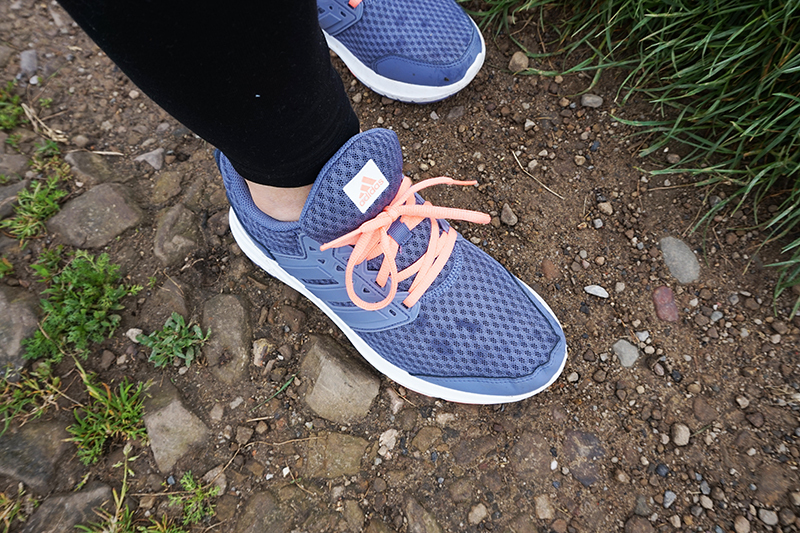 The material at the front is totally breathable, I can honestly say my feet haven’t sweated at all in these trainers meaning I can easily wear them for everyday activities too without having to worry about wearing them too much. You can see how wet they have gotten from the grass but my socks stayed dry and my feet nice and cool. These trainers have become my go to pair. The ones I chuck on to do the school run but also the first pair I grab for my gym bag too. I totally love them. Plus they are an absolute steal too as they’ve just been reduced from £39.99 to £27.99 so grab yourself a bargain whilst you still can!